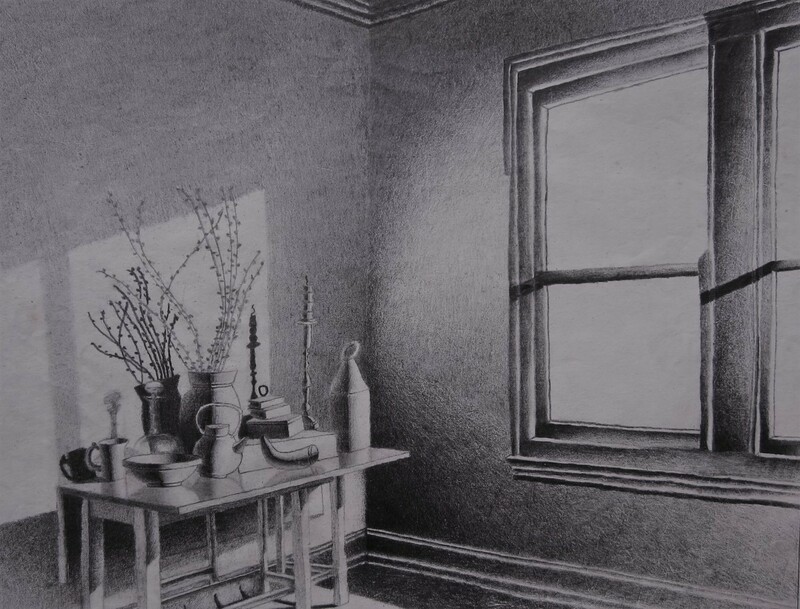 This is a sketch in graphite of a table in late afternoon. The shadows play on the windows and walls to bring the scene to life. 5" x 6.5"7" x 9.25"9" x 11.75"11" x 14.5"13" x 17"15.5" x 20.25"